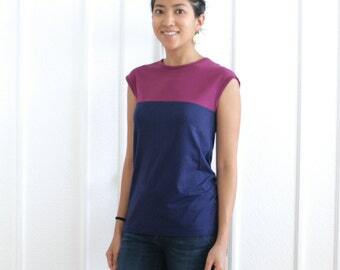 The Sara cowl neck is made with a bamboo, organic cotton, spandex jersey knit blend. The fabric is breathable, comfortable and ecofriendly. It's a classic bestseller that's now available in a whopping 12 colors! Wears great with jeans, or with any of the skirts in our shop! It arrived promptly and was as pictured and described. Love it! Such a beautiful shirt. I love the way it fits. Arrived very quickly, fits great!